Bipolar Disorder by Richard Morriss, et al. by Richard Morriss, et al. 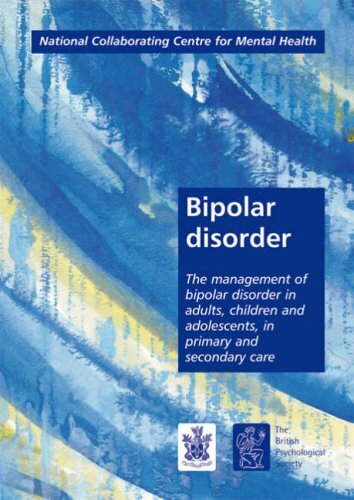 This guideline has been developed to advise on the assessment and management of bipolar disorder in adults, children (aged under 13 years) and young people (aged 13 to 18 years) in primary and secondary care. It applies to people with bipolar I, bipolar II, mixed affective and rapid cycling disorders. This book was originally published in 1920. The general aim of the book is to put into a biological setting the system of psycho-therapy which came to be generally adopted in Great Britain in the treatment of the psycho-neuroses of war. This guideline has been developed to advise on the treatment and management of attention deficit hyperactivity disorder. The guideline recommendations were developed by a multidisciplinary team of healthcare professionals, service users and carers.